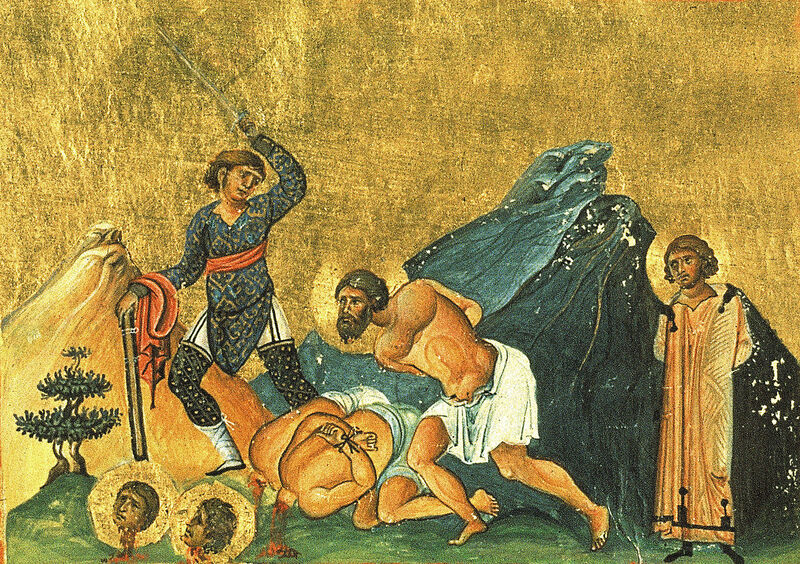 A few days later Saint Eugenios was captured, and having confessed Christ, he was thrashed without mercy. After this he went with Lysias to the temple of the idols, and after uttering a prayer, the idols of the temple fell to the ground, and they shattered to dust. They then stretched him out and bound him with ropes, and he was beaten with thick rods. After this he was suspended and cruelly torn at with iron claws, and burned with lit torches. Following this they rubbed his wounds with salt and pungent vinegar. 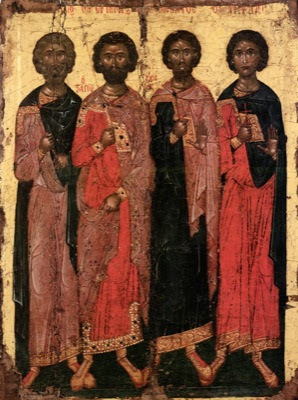 After all these things the four Saints were cast into a lit furnace, and having emerged unharmed, they were beheaded, and the blessed ones received the crown of martyrdom.